We are engaged in offering Ahuja Speaker System. XPA-3000DP has a built-in Power Amplifier with multiple inputs for use in a wide variety of PA and Musical Programmes. This PA system is useful for classrooms lectures where loud volume required also this speakers are useful as a external speakers for laptop and mobile. This PA speaker require a separate power amplifier in order to produce sound. It is better to use powered speakers, which require fewer connections. This speaker is designed specifically for low frequency sound playback, and are used together with the main speakers to boost the low-end sound range. Applications include Music and Vocal Performances, Conferences and Lectures, Presentations, Religious Discourses and Gatherings, Touring PA and Bars etc. Power: 32W RMS / 48W Max. 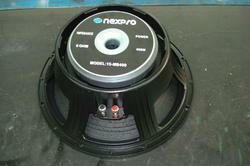 So as to uphold the standing we have built up, we are engrossed in presenting a broad compilation of L18 SW 1000 Speaker. 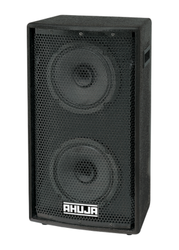 we are engaged in offering Ahuja Srx 220 Speaker to our respected clients. Ahuja Speaker cabnits are the best for rough handling.